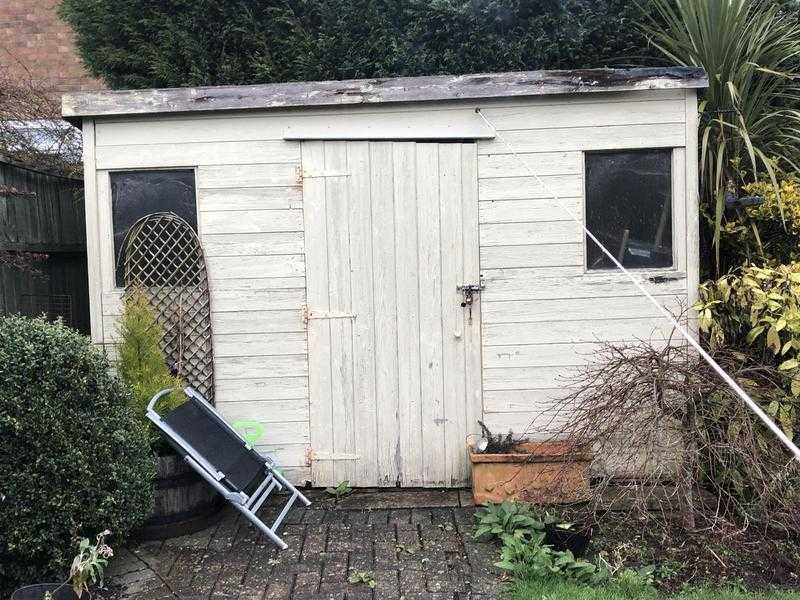 A free garden Shed 10ft wide by 7ft deep. To be dismantled and removed by collector. Needs some attention - roof needs re felting and the wooden slats on roof are bowed slightly. The facias around the top also requires.